The National Security and Defense Council of Ukraine will hold a meeting today in order to consider urgent measures to neutralize threats to the energy security of the country. President Petro Poroshenko said this during the solemn meeting dedicated to the Day of honoring the combatants in other countries, an Ukrinform correspondent reports. 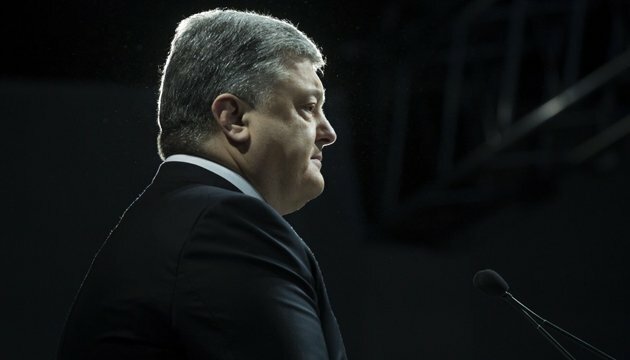 "Today, the issue on urgent measures to neutralize threats to the energy security of Ukraine will be considered at a meeting of the National Security and Defense Council of Ukraine," Poroshenko said. The President has noted that further decisions on the diversification of sources of supply of energy coal will be taken, "not forgetting that the coal, which is mined in the occupied territories, is also Ukrainian one, and it should take its part in the energy balance of Ukraine."